They say every cloud has a silver lining. And on an uneventful week scarred by a series of mishaps, Mount Lanhan was my silver lining. Unheralded and likely scenic, Sibonga’s towering sierra was my last hope of kicking off the year on the right foot. 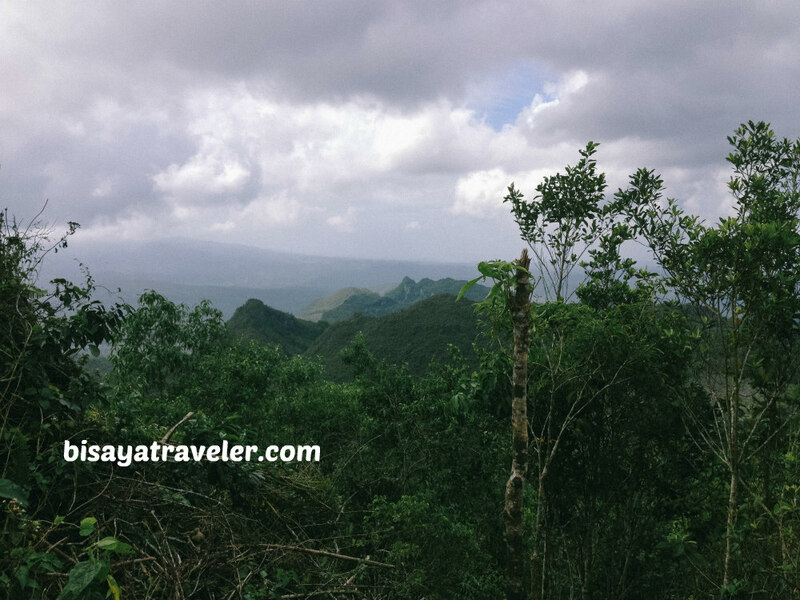 In spite of the unfamiliarity and rumored short trail, I was willing to take a chance on this mountain. I had to infuse the optimism that makes things more fascinating and beautiful in my eyes. And, Mount Lanhan might be the hopeful prospect or cure to a seemingly lifeless week. 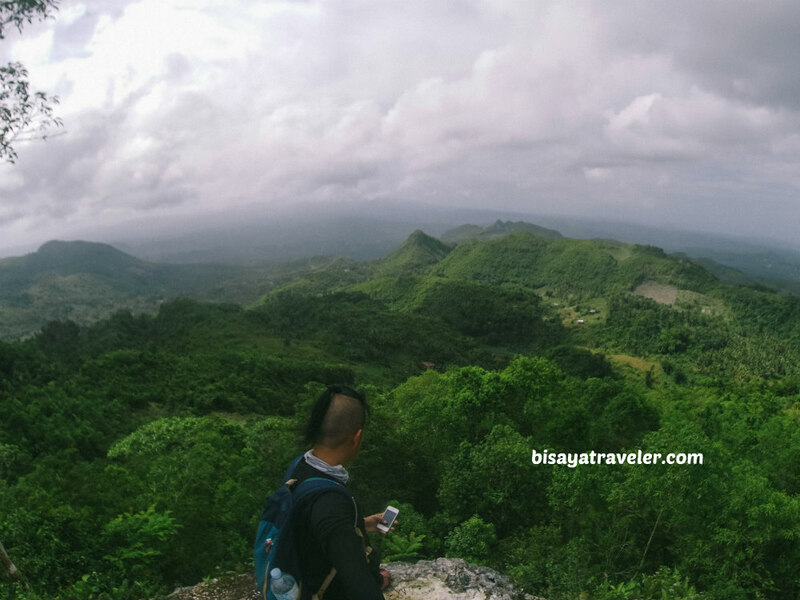 A few months ago, one of my hiking buddies, Beth, forwarded a Facebook post highlighting the beauty of Mount Lanhan in Sibonga, Cebu. It was eye-catching and impressive! With its breath-snatching panoramas and the dragon-tail-like mountain in the backdrop, it’s an absolute nirvana for shutterbugs. Furthermore, some people labeled Mount Lanhan as a virgin and pristine peak. Intrigued, I dug deeper into the post to gather more clues about Mount Lanhan. 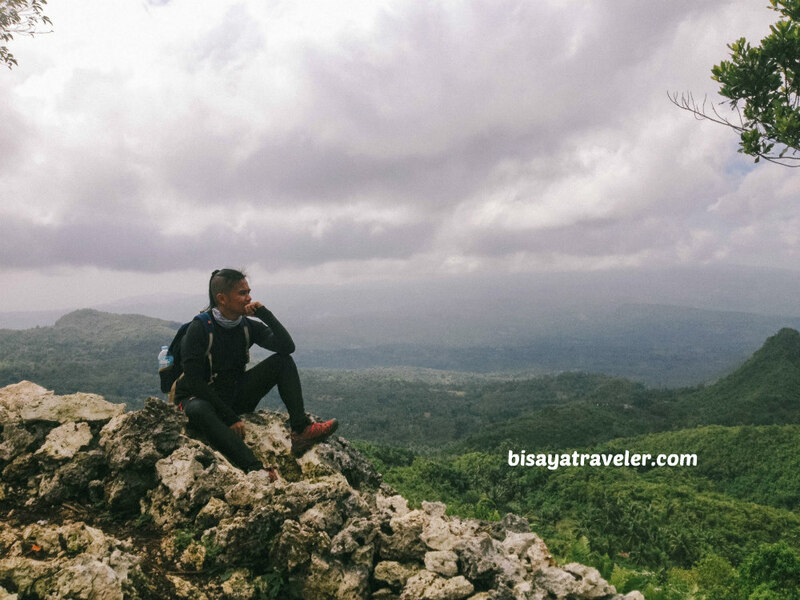 In my search for information about this peak, I found out that it takes a short 40-minute hike to reach the summit. And for someone who loves long day hikes, Mount Lanhan didn’t seem like my cup of tea. Even so, I knew that one day I’d be standing on the summit and edge of Mount Lanhan. And, that “one day” was last Sunday when it became my silver lining for an energy-draining week. Like the previous editions, I wanted to kick-off my year with a bang by taking a long, picturesque and scenic day hike. 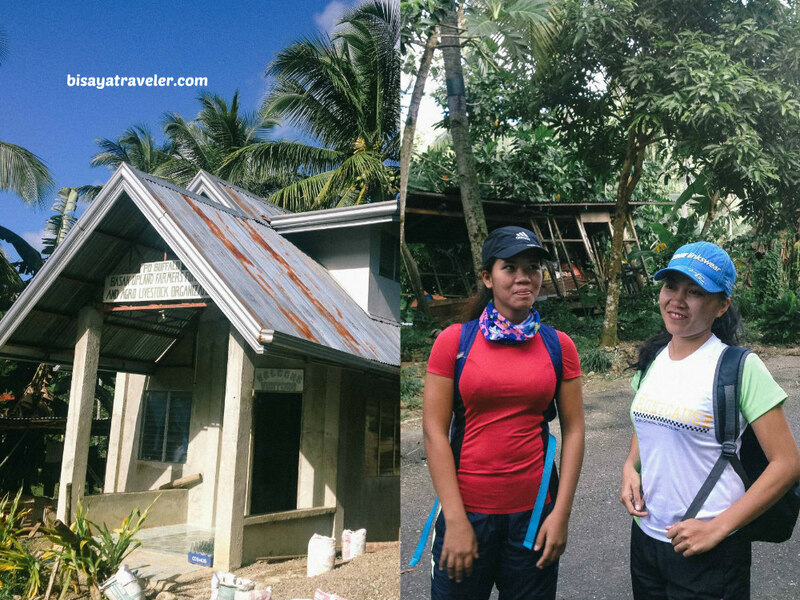 Originally, my plan was to head to Danao, and hike a different route to a well-known mountain with my friends on the year’s first Saturday. But, things didn’t go as I’ve hoped for. With so many unfortunate events and changes in my schedule, I had to skip my gang’s first hike in 2019. Since I had nothing to do the following day, I decided to take a day hike somewhere with a picture-perfect view. The problem was, there weren’t plenty of options for me. 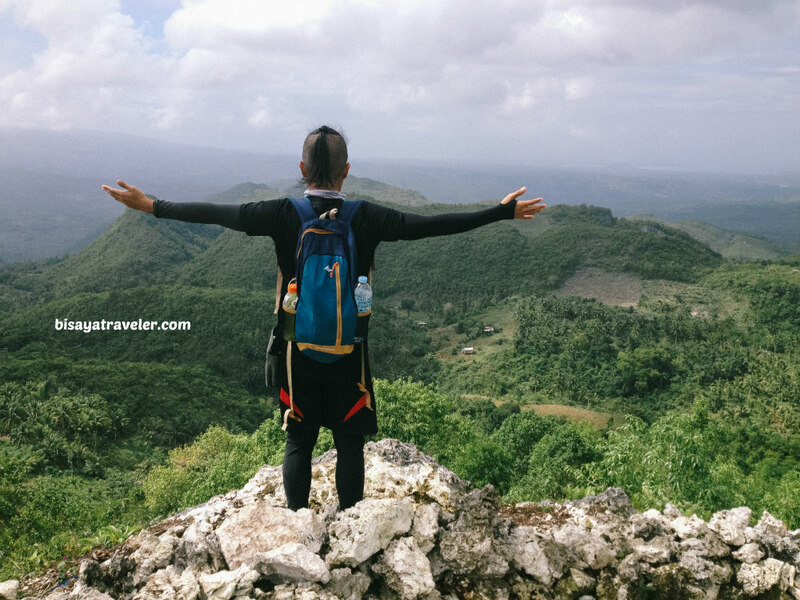 And, after hours of research, I ultimately picked Mount Lahan in Sibonga, Cebu. 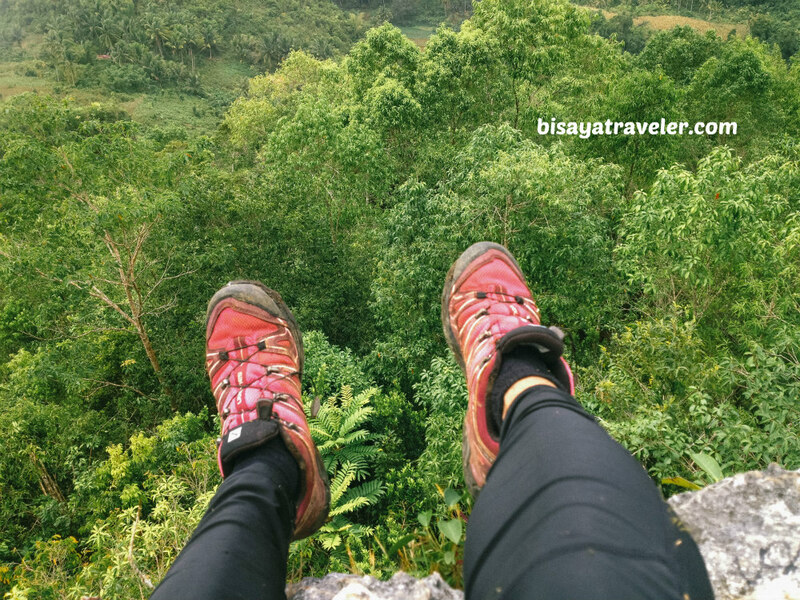 Soon, I invited a handful of hikers to complete the cast for my hike – Christian, Bruno, Bea, Rollie as well as the lively speedsters, Riza and Ezra. From our rendezvous at Cebu South Bus terminal, we took a bus ride to Sibonga Church. Less than 2 hours later, we arrived at Sibonga Church where a bunch of motorcycle drivers were asking questions about our destination. As I’ve expected, the drivers didn’t have a clue where Mount Lanhan is located. The thing is, I’m not an expert navigator or a Swiss-knife, do-it-all hiker. But, I do know how to find landmarks and unheralded spots with my inner compass and intuition. As a matter of fact, it’s my inner compass that drives me to explore the unknown. And, speaking of which, a lot of people have been saying that exploring the unknown is dangerous for us. But, let’s be real – it’s not as foolish and dangerous as French-kissing a rattlesnake. Once we’ve agreed on a price, we hopped on the motorcycles, and went on a ride up to Basak, Sibonga. 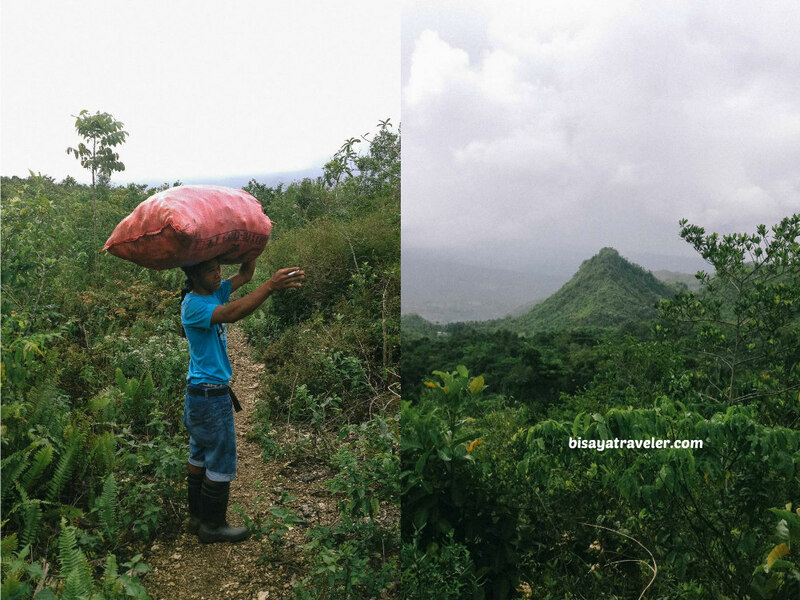 Amazingly, the ride up was smooth and somewhat easy, unlike most habal-habal rides to Cebu’s mountainous barangays. On the way up, I saw another silver lining in Sibonga’s uplands. The untouched rolling hills, the jagged cliffs and pristine ranges of Sibonga left me speechless and in awe. Too bad, I couldn’t stop and snap a photo of these eye-catching natural marvels. Based on the information I’ve gathered, most hikes to Mount Lanhan start at the Betty Abellana residence. Unsure about the exact location, the drivers opted to drop us at Basaka Barangay Hall. And, that was perfectly fine to us! At least, we could warm up and do a little stretching. As always, we began our hike with a short prayer. 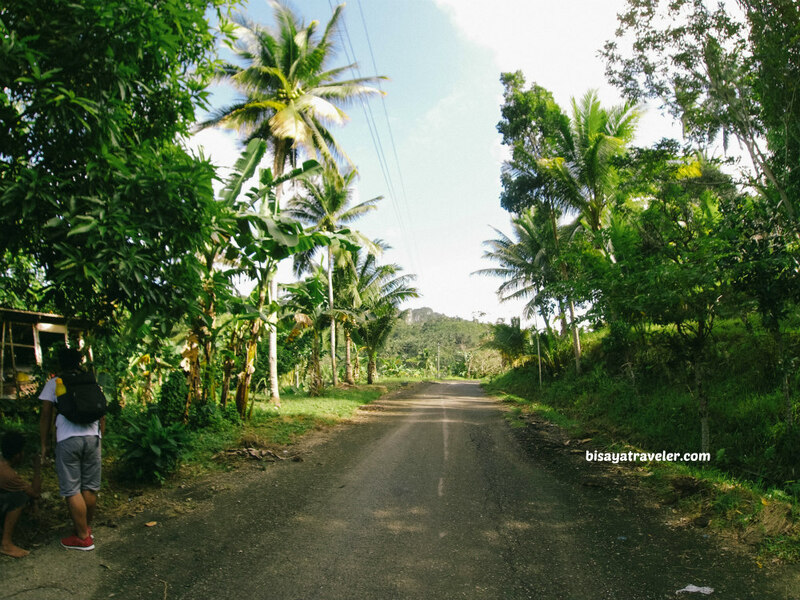 Soon after, we followed the road to Mount Lanhan with the tips shared by the locals. It was a beautiful and refreshing morning. The sky was wondrously blue and the air was crisp and clear. And, as we walked to the base of Mount Lanhan, I soaked up the mountain breeze. 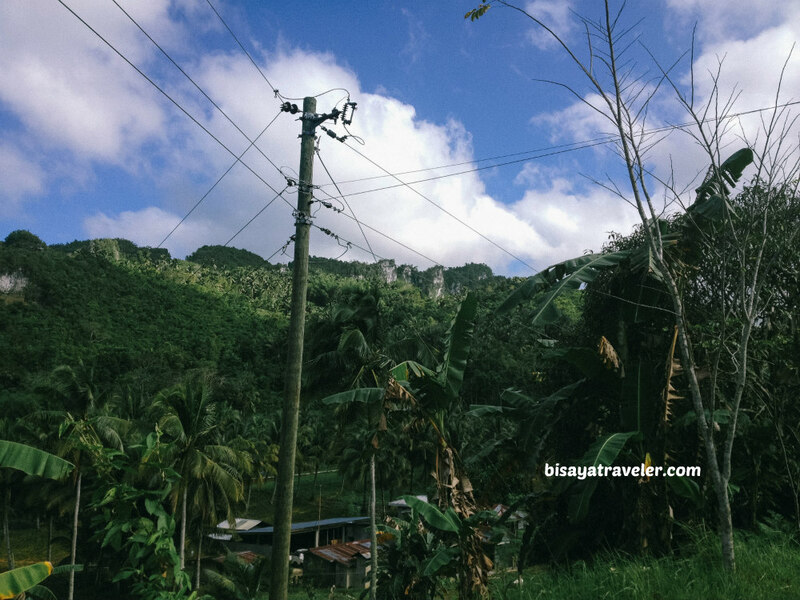 To make things even better, we were awestruck by the craggy mountains and cliffs of Basak, Siboga. The signs were pretty clear. From that moment on, I knew Mount Lanhan was my silver lining for the week. 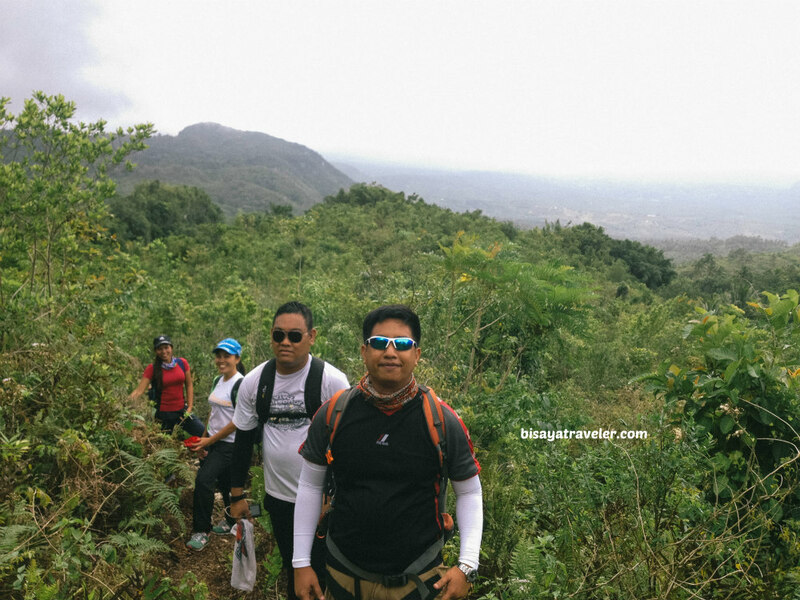 Optimistic and pumped up, we hiked our way to the base of Mount Lanhan with swag and big grins on our faces. Minutes later, we arrived at the base of Mount Lanhan. 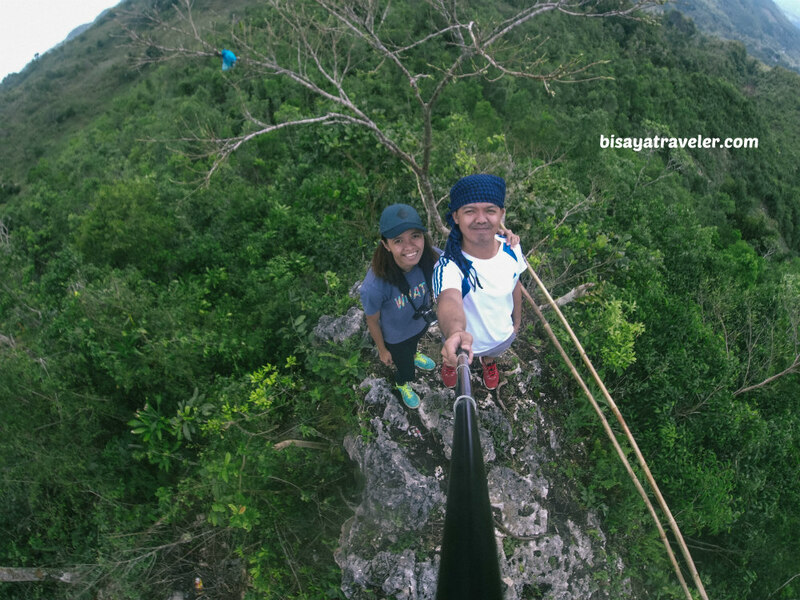 Ten pesos for a hike to picture-perfect peak? I’ll surely take it over any flower farm or so-called Instagram-worthy attractions in Cebu. From the base, we walked almost non-stop amid the secluded highlands of Sibonga. As I much as I love to reach the summit with pausing, I had to stop for a minute, so the rest could catch up with me and the speedsters. I guess I was just excited to my silver lining for that day. Slowly, the crisp blue skies turned gray and the air became rather chilly. Will there be downpours today? Hopefully, only mild showers. There were no trail markers or signs leading to Mount Lanhan. 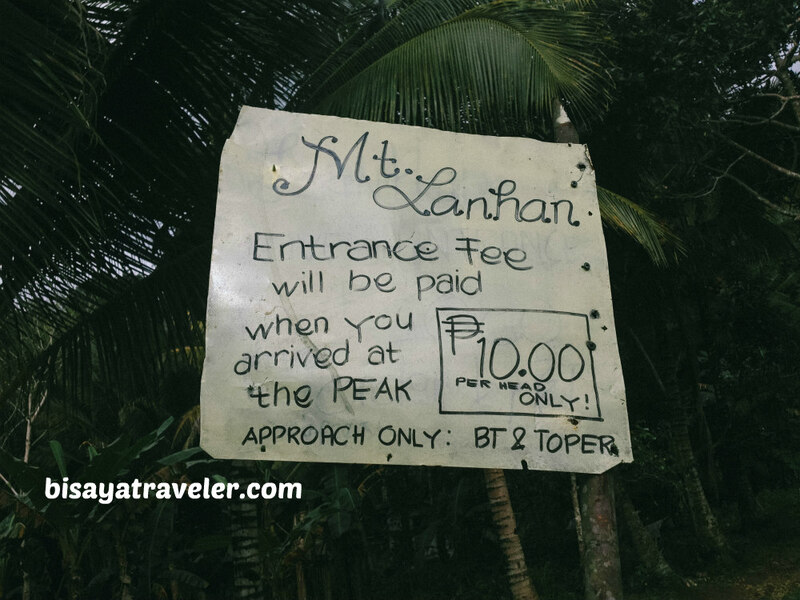 So, we had to find Mount Lanhan the old-fashioned way – by asking locals. 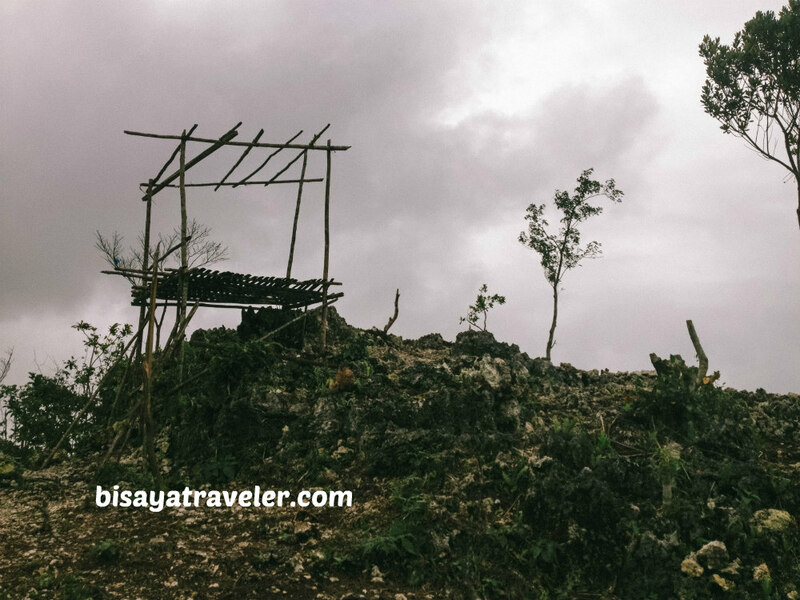 As with most remote areas in Cebu, there weren’t a lot of locals in the area. And, it was a lazy and cold Sunday too, meaning some were still chilling and sleeping on their beds. Heck, if I live there, I’d probably wake up in the afternoon on Sundays. And with its cold and laid-back atmosphere, my house would probably become a baby factory. LOL! Luckily, we spotted a couple of locals who showed us the way to the top of Mount Lanhan. 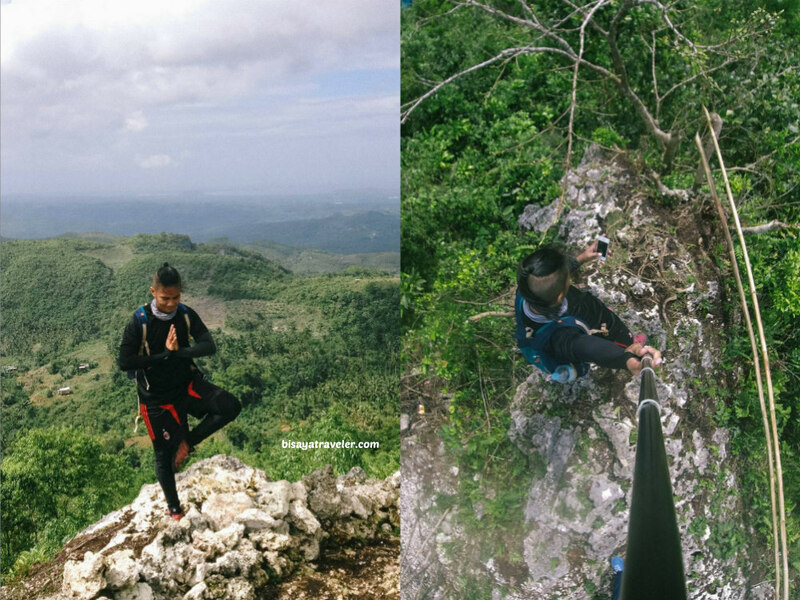 As for the climb up, it’s not as technically challenging or energy-draining as some of the mountains in Cebu. Nonetheless, it can burn a few extra calories and give you a sweat-inducing workout. Finding the summit, however, was a different story, especially since we didn’t have a guide. With so many trails and turns, it was like a solving a jigsaw puzzle. On the bright side, I could clearly see the summit and peak of Mount Lanhan. Ultimately, we arrived at an intersection with no idea where to go. Should we go straight or take a right turn? My heart says right, and my logic tells me to take the bigger and more established trail straight ahead. My logic, this time, failed me. On the bright side, there was a strong and helpful man who showed the right path to Mount Lanhan. Despite his heavy load, he was walking leisurely on the trails in Mount Lanhan. He made that sack look like as light as our backpack. Upon his recommendations, we followed the steeper, rocky and slippery trail to Mount Lanhan. 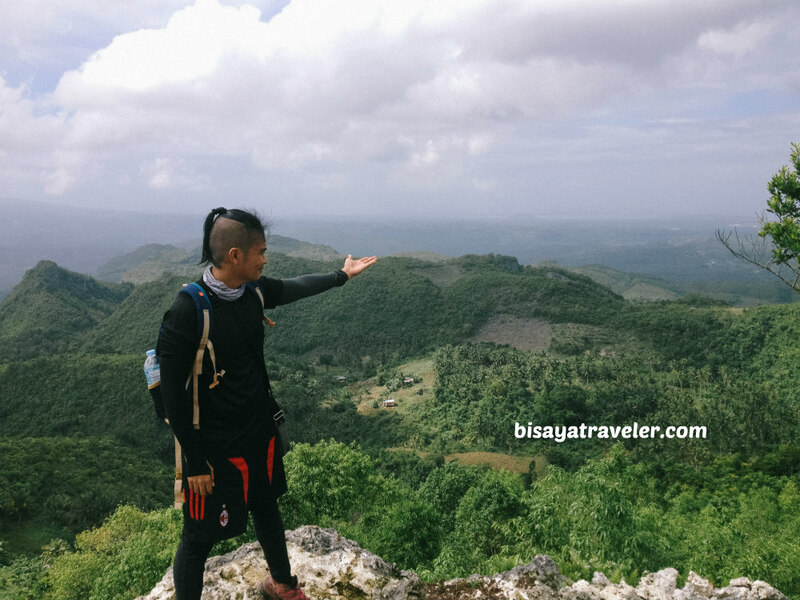 Before our final ascend, we took a breather, to admire the beautiful landscapes of Basak, Sibonga. The, we resumed, hitting the slopes with loose soil and slippery rocks. As I was about to reach the summit, a mixture of emotions flooded through me. Euphoric because I was about to reach the top of Mount Lanhan. Sad because the slopes were literally filled with trash. Not to mention, the rock formations were horribly vandalized. I guess Mount Lanhan isn’t as pristine and virgin as what a social media user said. Don’t get me wrong. It hurts to say that, but it’s always better to get hurt by the truth than comforted with a lie. But, as with everything else in life, I didn’t let the negativity get the best of me. So, I, with a sense of joy, climbed the rocks, and savored the views from Mount Lanhan. As far as I’m concerned, it was just as panoramic and gorgeous as its photos. Heck, it’s far better and more beautiful in person. From the edge of Mount Lanhan, I saw a bird’s eye view of Sibonga and Carcar’s verdant highland scenery. On the west side, I caught a glimpse of the neighboring towns, Dumanjug and Ronda. 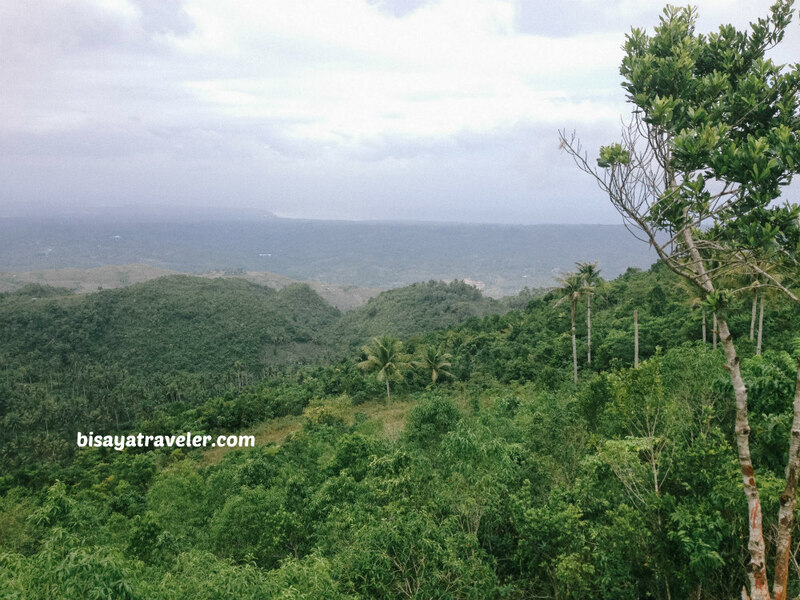 Moreover, I saw Cebu’s neighbor, Negros Island, from this vantage point. I don’t own a Garmin, and I can’t measure its elevation. But the way I see it, Mount Lanhan is hands down the highest peak in Sibonga, Dumanjug and Ronda. Overlooking the three towns, Mount Lanhan might be even taller than Mount Kalatkat in Carcar. With the winds blowing gently, I surveyed the area, looking for a possible route, following our hike. And, I had a plethora of options. 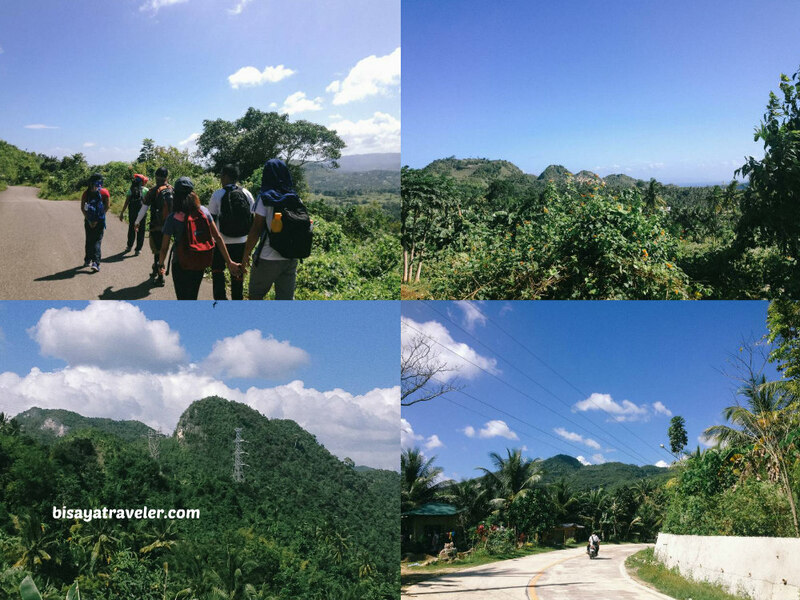 For one, we could go north and hike through Mayana all the way to Guadalupe, Carcar. In addition, we could hike south, and find a trail leading to the famed Monastery of Holy Eucharist. Or, we could go west to Dumanjug and check out the impressive Pityak Falls. When I say it’s the silver lining in Sibonga’s highlands, I mean it literally. 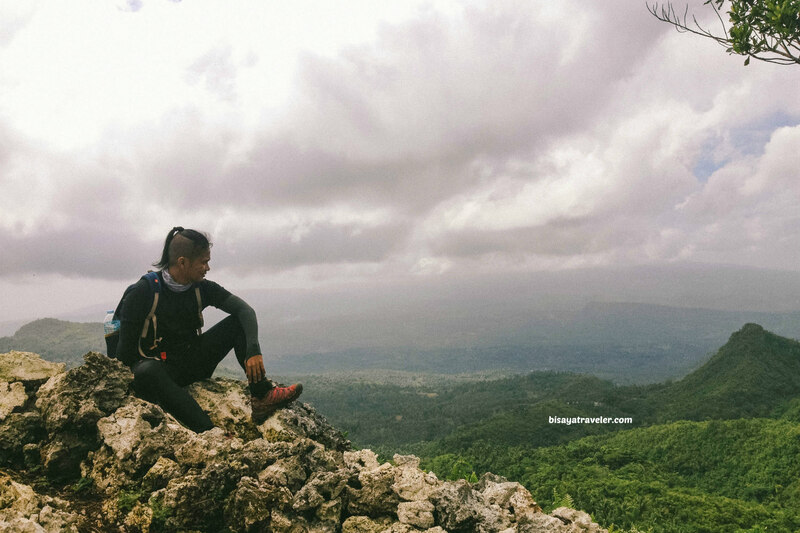 In the eyes of most adventurers, there’s nothing much to do in this part of Cebu. To some, there are no waterfalls, rolling hills stunning peaks or any highland wonders to see in Sibonga. Mostly, people come to Sibonga to pray and admire the holy castle church. And, Mount Lanhan might be the key to unlocking some of the town’s undiscovered gems. I’m pretty sure there’s so much to see and discover in Sibonga. 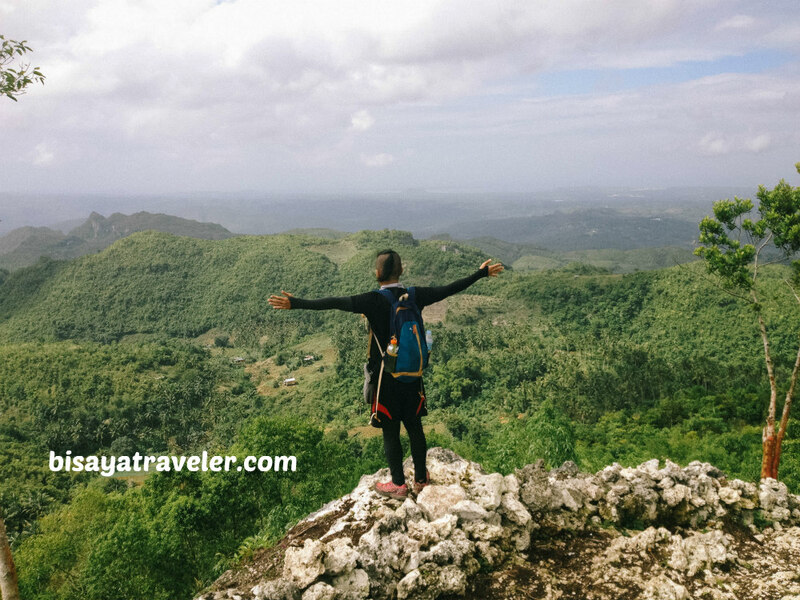 At least, it can be the base or appetizer to an exciting adventure in Cebu’s untouched highlands. I’m a hundred percent sure that I’ll be back to explore these spots in Sibonga. See that jagged cliffs in the background? There might be a fascinating surprise there. Of course, no hike is complete without a few photos. While we’re no expert shutterbugs, we did spend some time snapping photos on the peak. With its striking vistas and easygoing vibe, Mount Lanhan was indeed my silver lining that weekend. 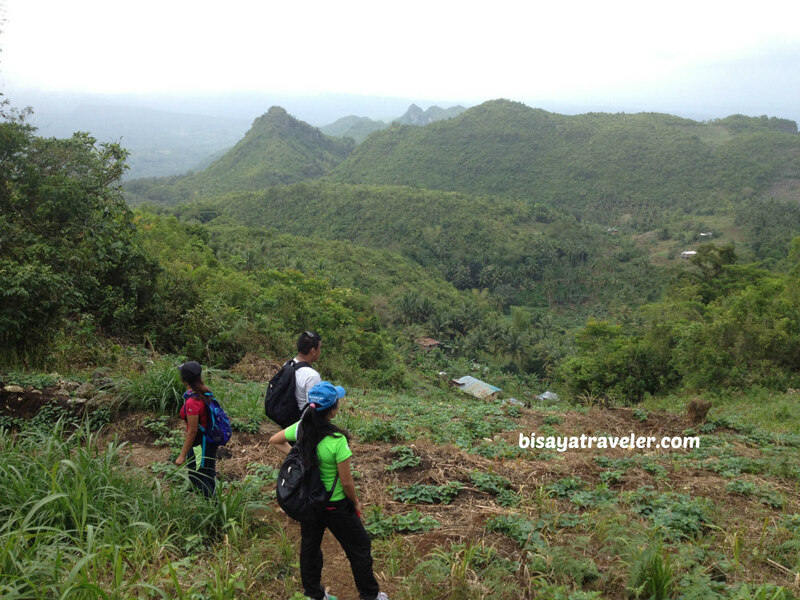 From the peak, we descended via the established trail leading to Barangay Hall. With the hints shared by the locals, we decided to take a hike to Monastery of Holy Eucharist. Some wanted to go to Mayana, but for some reason, we decided to go to the church. There was another option – Pityak Falls, but the locals said it’s a little bit dangerous. Even though some locals say it’s extremely far, we still went on with our pursuit. Some even said it would take us the entire day to get to the sacred site or highway. And, guess what? We almost got there. We even went beyond the monastery, and reached the national highway. Perhaps, we took the wrong or road to the church. Honestly, it was so close that I could hear the choir singing and see the towering spires of the sacred site. I didn’t know where we went wrong. 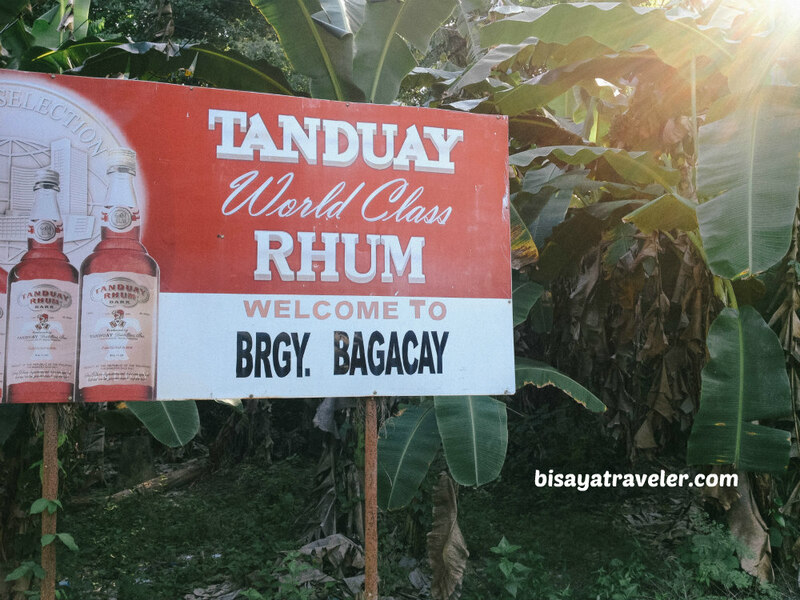 Maybe, it was because of the vague answer from a drunk local or our thoughts were clouded by the extreme heat. Except for a return trip to Thailand, I can’t think of a better way to start my year. Was I disappointed? Not all! It was a long, 17-ish- kilometer hike, after all. Plus, I get to add more information to my mental map of the whole island of Cebu. And, it was all made possible by Mount Lanhan – a silver lining on a gloomy day and week. Anyway, I know I have a shot of hiking Mount Lanhan and its surrounding areas again. Next time, I’ll take the Mayana and Guadalupe route. From Cebu City South Bus Terminal, hop on a bus that will take you to Sibonga proper, or Sibonga Church (not Simala church). Fare is around PHP 80 and travel time is 1 hour and 30 minutes. 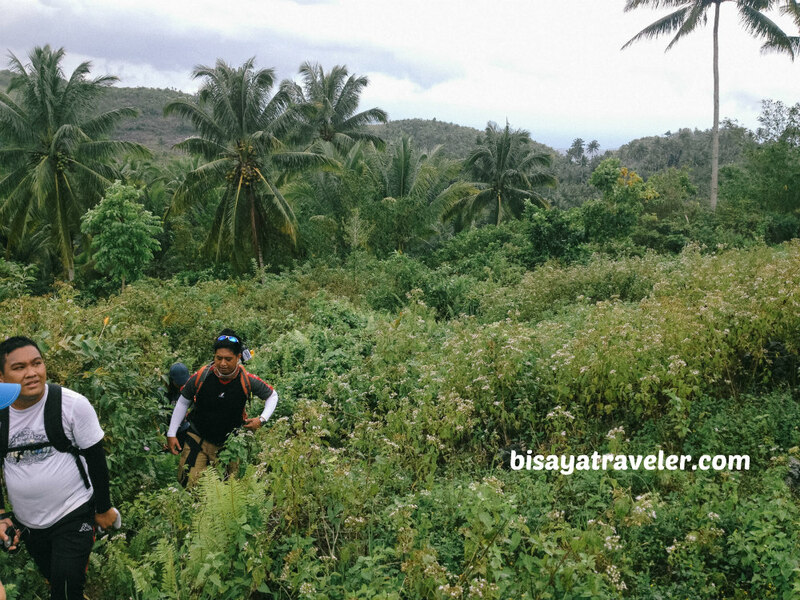 Once there, look for habal-habal drivers that will take you to Basak, Sibonga. If you can’t find one, take a walk or trisikad ride to Acacia habal-habalan. Just tell the drive to drop you off at Betty’s Residence or at the base of Mount Lanhan. 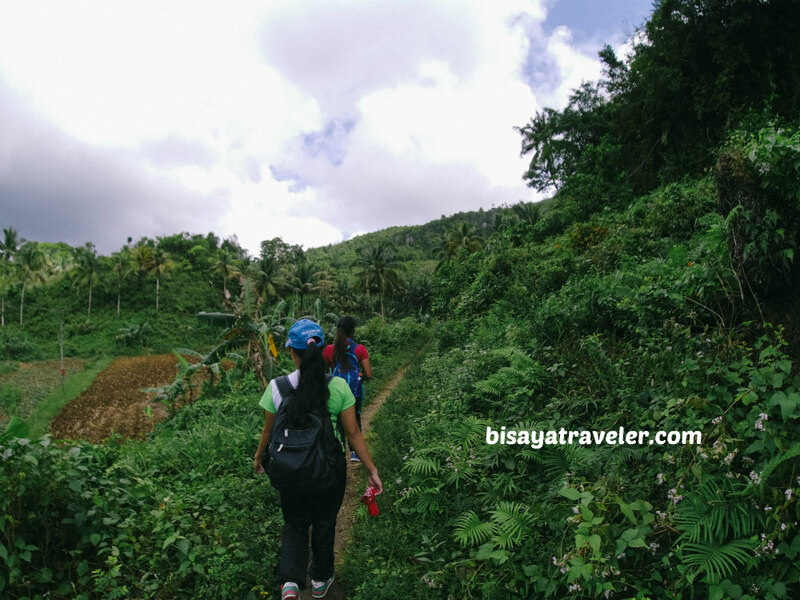 If, however, they are unfamiliar with the place, simply start your hike at the barangay hall, and ask for directions from the locals. Fare is PHP 70 to 100, and travel time is 30 to 40 minutes. Bring ION drinks like Gatorade or Pocari Sweat. Wear trekking shoes or sandals with great traction. Wear leggings and arm guards. If you need a guide, just the locals in the area. From the base, the hike to the top only takes 30 to 40 minutes. Below the peak, there’s a spacious ground that can accommodate around 3 to 5 tents. Mount Lanhan is flawed. I’m not going to lie and sugarcoat things. 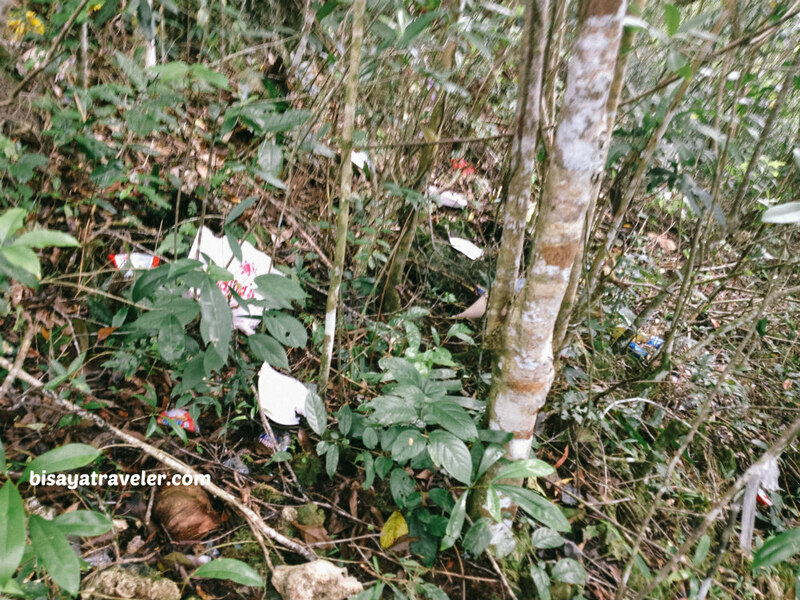 It’s riddled with garbage, even though it’s barely known to the mainstream tourists and explorers in Cebu. Hopefully, the local visitors will take care of the place, and learn how to dispose their trash properly. Still, the positives outweigh the negatives. For starters, it has views that will surely take your breath away. What’s more, it’s simply atmospheric and relaxing, making it a great weekend escape. 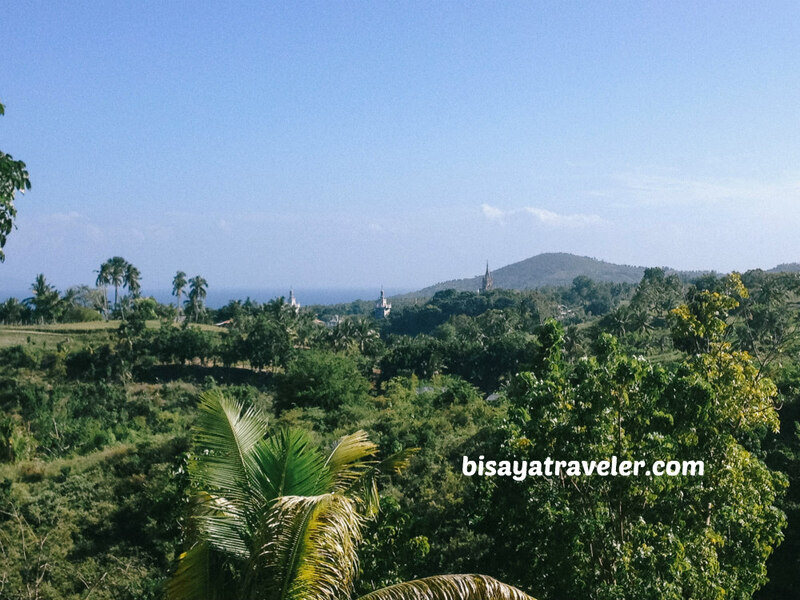 And more importantly, it can be a great base to explorers who want to see the untouched beauty of Cebu. In a sleepy town not known for its tourism, Mount Lanhan is a silver lining and a beacon of hope in Sibonga’s highlands. nice kaaayo sir. naa koy new english vocab..
Hahaha Charwin! Dool ra baya ni sa inyu.